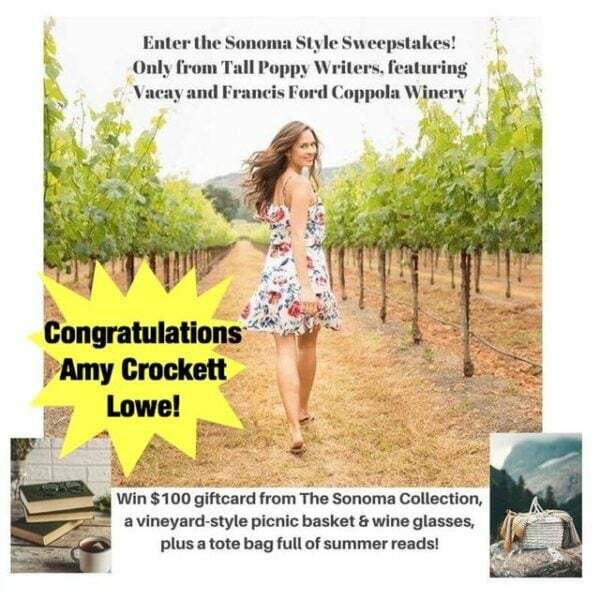 The Tall Poppy Writers are excited to announce the winner of our recent #SonomaStyle Giveaway sponsored by Tall Poppy Writers with our partners Vacay and Francis Ford Coppola Winery. BLOOM member Amy Crockett Lowe won a beach bag full of Tall Poppy titles, a fabulous Picnic basket and drinkware from Francis Ford Coppola Winery (located in Sonoma Valley, California), and a $100 Gift Card to Vacay.com—the travel clothing brand who just launched their new Sonoma line! BLOOM is the Tall Poppy Writers’ 24-hour-slumber-party plus book club plus author insider Facebook group (areyouinbloom.com). Join BLOOM for more news about our Books & Bottles (https://www.francisfordcoppolawinery.com/en/books-and-bottles) collaboration with Francis Ford Coppola Winery and chances to win prizes like this one! The Tall Poppy Writers created BLOOM to interact with our readers and get to know them as readers get to know us. The Tall Poppy Writers are heavily invested in relationships and wanted a chance to communicate with readers who know us and new readers whom we hope to meet. Books & Bottles is a collaboration between Francis Ford Coppola Winery & Tall Poppy Writers featuring our favorite FFC wines and Tall Poppy book pairings with exclusive content—themed recipes, the perfect playlist—all put together in one perfect gift box. 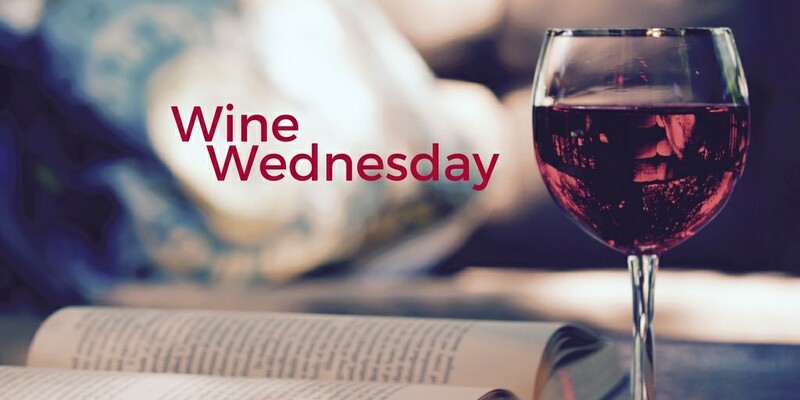 Books & Bottles is perfect for wine enthusiasts, book lovers, and book club hosts who appreciate a book club in a box. Congratulations again to Amy Crocket Lowe on winning our giveaway! For more giveaways, like our Facebook page (facebook.com/tallpoppywriters) and join us in BLOOM (areyouinbloom.com).